Is Facebook Blocked in your office or school. Don’t worry now you can update your Facebook status with email. Yes with this simple trick you can upload photos and video to your Facebook profile easily. So here is the trick of updating your Facebook profile via email, when Facebook is block on your office or school. But remember by default the media you send will be incorporated into your “Mobile Upload” photo album, subject to its privacy settings. 3. 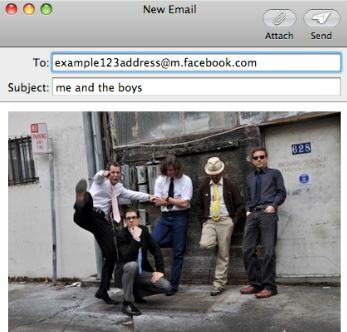 Underneath “Upload via Email” you’ll see a unique email address that you can use to update your Facebook status via email. 3. 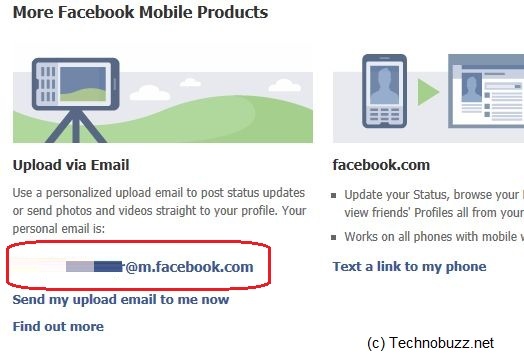 Now you are on the Facebook Mobile page, here you can see the option “Upload via Email. Below that you can see a email address. NOTE: This is a secret email just for your Page – don’t share it with anyone. 4. Now copy that Email ID and Save it in your Email Contacts, Now Send an e-mail to your new contact with the status update text as the subject of the e-mail and it will post to your Facebook Profile. Simple but very useful tips for those who have not used this feature. Though I prefer using SMS feature than sending Email. As most of my devices like iPhone, iPad has FB client, so using Email service is not required in my case..! !